This pensive young girl, named as Charlotte St John, had a short life that was marred by the scandalous behaviour of her father. Seen here against a landscape backdrop, she is wearing a pretty mauve dress with a white bow on the bodice, her long auburn curls topped with a lace cap. Born in 1785, Charlotte was the daughter of George St John, 3rd Viscount Bolingbroke and his first wife Charlotte, the daughter of a clergyman. 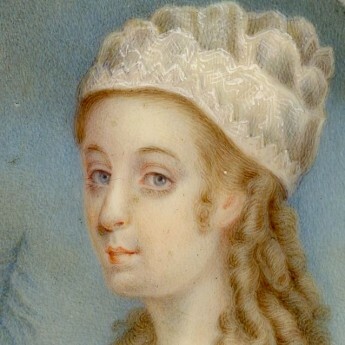 The couple had two sons and a daughter but then Bolingbroke left his wife to have an incestuous relationship with his half-sister, Mary, that resulted in the birth of four sons. 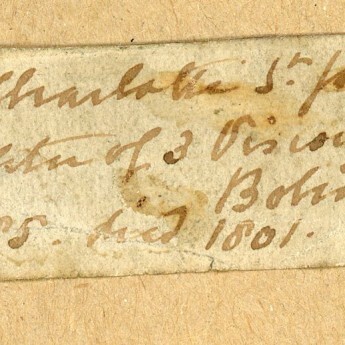 By 1794 Bolingbroke had abandoned Mary for a baroness! 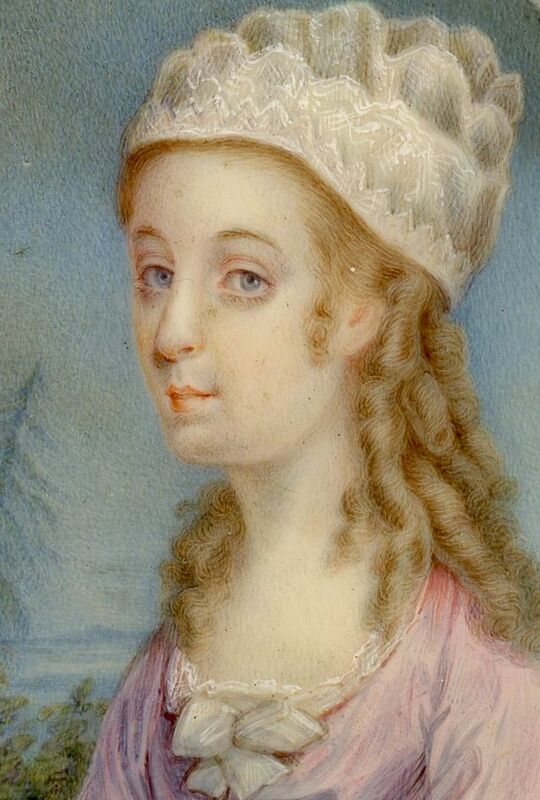 Charlotte died in 1801 when she was just sixteen years old. Her mother died a couple of years later thereby freeing Bolingbroke to marry his baroness. 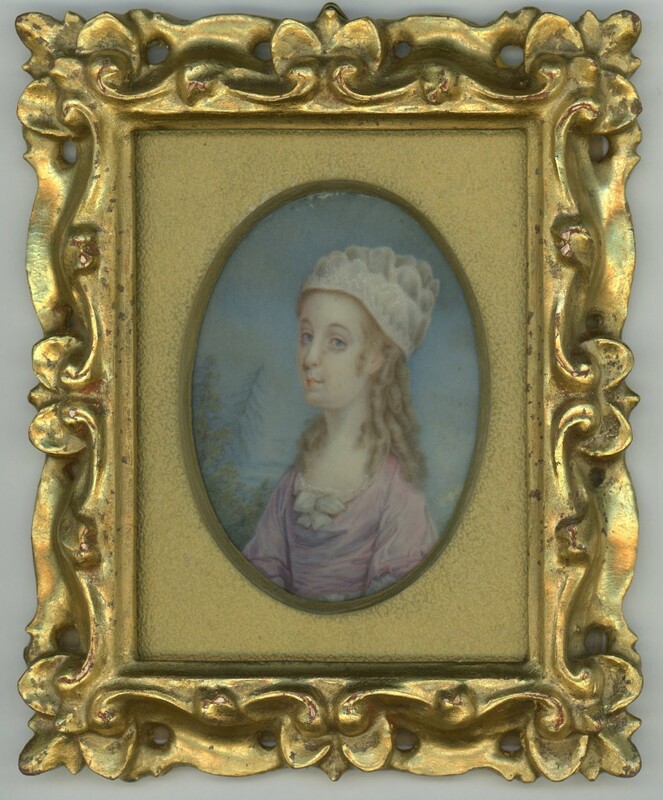 The portrait is set with a gilded card mount in an ornate Georgian giltwood frame.